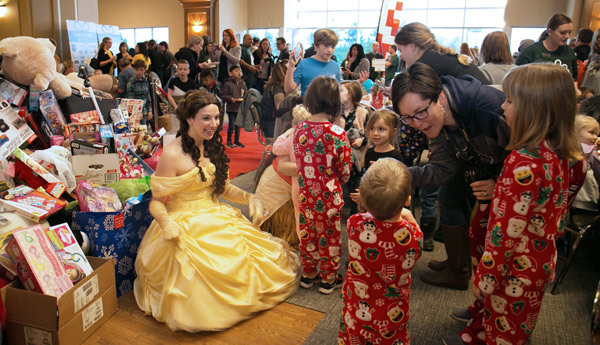 From engaging entertainment, to the energetic volunteers, to the enthusiastic guests – everyone was operating in the true spirit of Christmas Friday morning. The sense of a supportive community was profound. 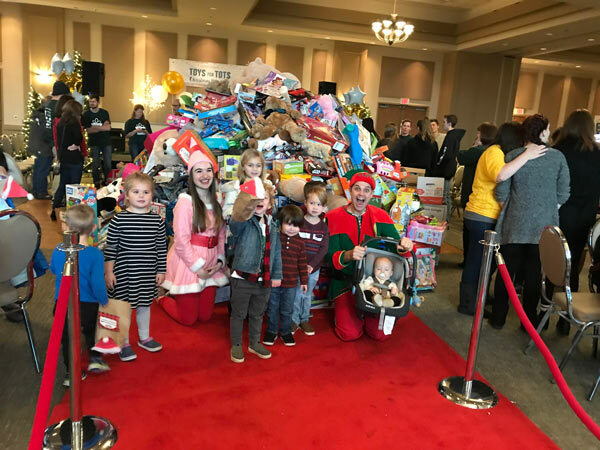 We are overwhelmed with gratitude toward our community and the heartfelt involvement and generosity towards children in need. 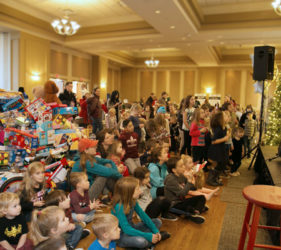 Together we raised a record of 2,757 toys and over $60,000 in financial support. 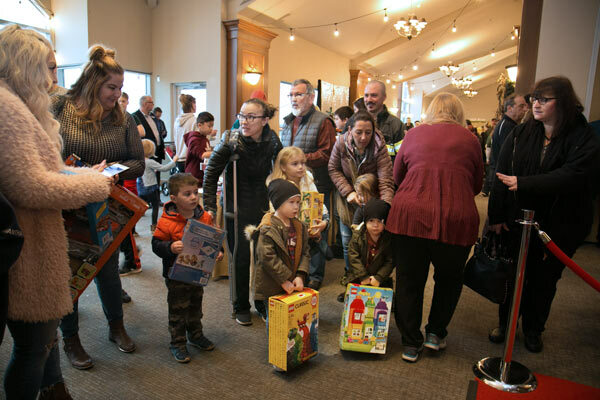 Not only were the donations surpassed, but we had a record of almost 2,000 guests attend. 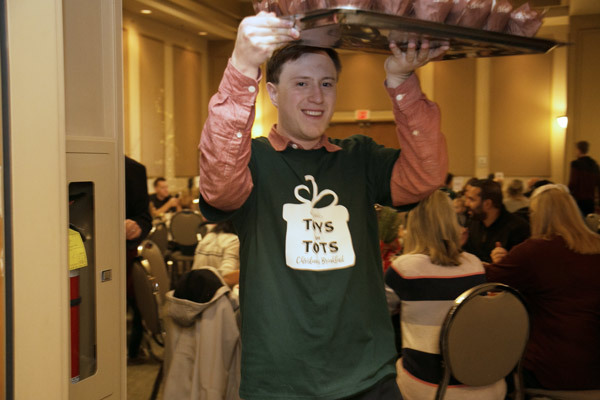 What do you want to find under the tree this year?The success of this event would not have been possible without the investment from our sponsors. 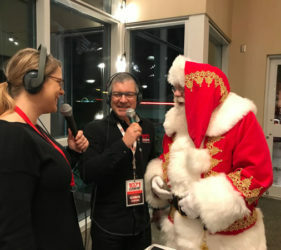 We would like to thank first and foremost, Quality Hotel & Conference Centre for their desire to host a wonderful community event and the graciousness of the staff who warmly served our community. Special thanks to the chef who put in extra time and care into the buffet and the staff who prepared the room overnight and then served in the morning! 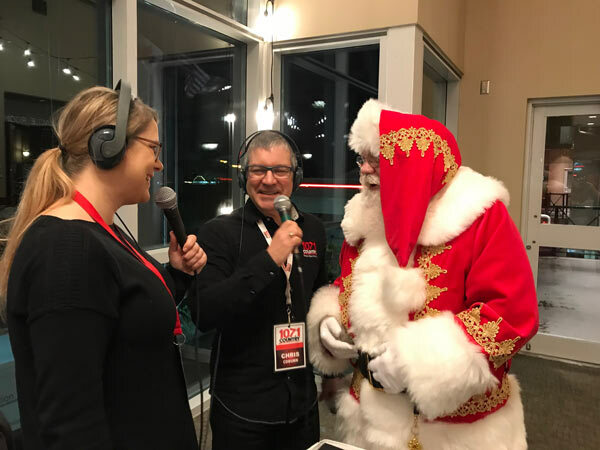 We are extremely thankful for having Country 107.1 with Chris & Jess, live on location at the event. 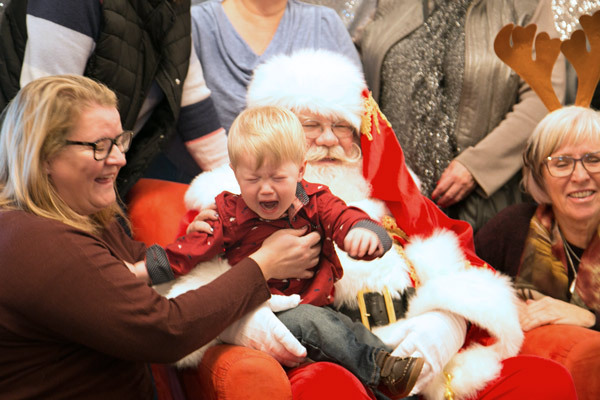 Your enthusiastic excitement to talk to Santa was matched by your commitment to being at the event year after year. This is so special to us. 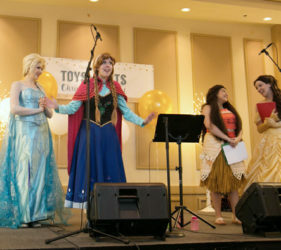 The Abbotsford News was also instrumental in encouraging our community to attend. Together we were able to share our excitement with our community. We had so many people coming up to us to tell us that they saw our event on What’s On Magazine and Pattison Outdoor Signs. Thank you for sharing this event with a wider audience! 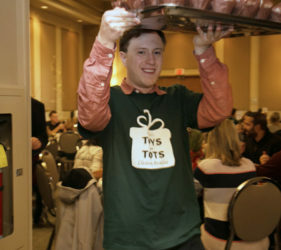 We also want to make a huge shout out to all those who shared and promoted Toys for Tots on Social Media. Your support is amazing! A huge thank you also needs to go out to our brilliant event sponsors. With sponsorship, we were able to run an event at very little cost. 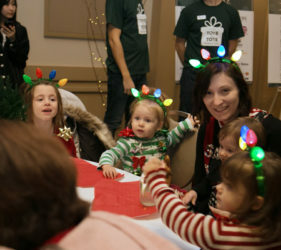 We are so grateful to our sponsors Assante Wealth Management, Elite Fire Protection Ltd., Fraswerway RV, Imperial Finishing, Jag’s Furniture & Mattress, JMV Woodworks Ltd., Saxon Mechanical Limited, and Tri-Link Systems Inc., Hub International, Prospera Credit Union, Complete Eyecare, Jack’s Towing and Stattonrock. 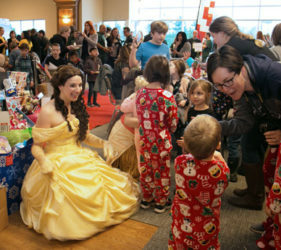 Not only did they chose to make a difference by sponsoring, but many of them also encouraged their staff to attend, and bring toys! 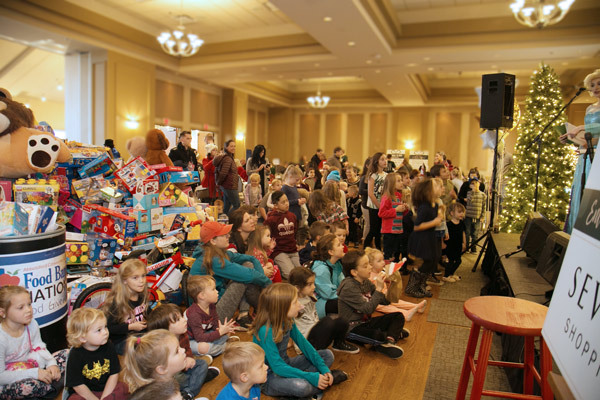 With their partnership, we were able to maximize the financial benefit to those who really need the support this Christmas—the children of our community! 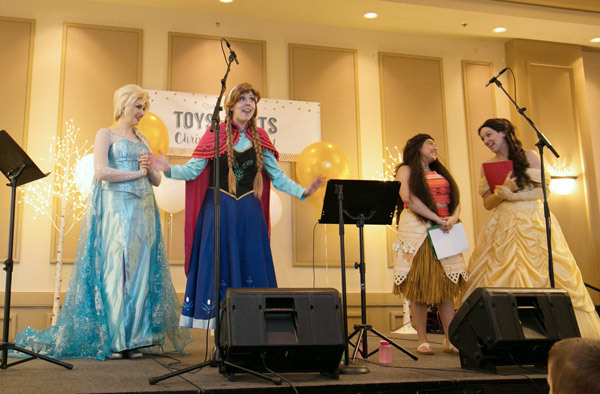 One of the most exciting parts of the event was the entertainment lineup. A huge thank Sevenoaks Shopping Centre for making this possible! 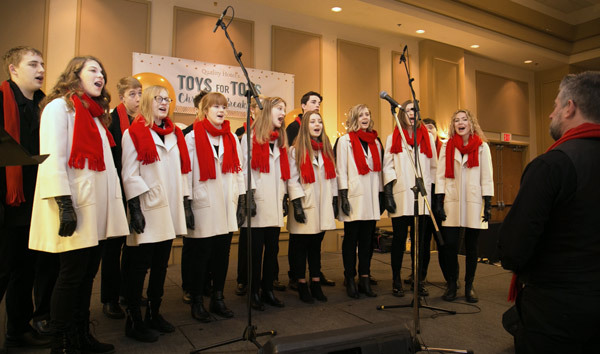 We are so grateful for the talented entertainment found in our community! 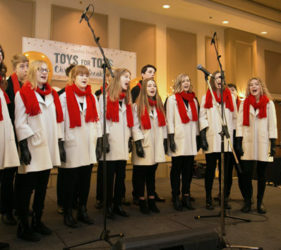 Thank you to Abbotsford Christian School Jazz Band for sharing your genuine love of music, Ember Glo for you folky Christmas flare, Coalmont for sharing your soulful melodies and soothing Christmas renditions, MEI Chamber Singers for your enthusiastic deliveries of classic Christmas Carols, to Ryan McAllister for sharing your fine musical talent, and to the Ever After princesses, thank you for making the day of many young monarchs in waiting. A special thank you to Tracy & Kenny Rahn and Travis Thuro for being the rock stars that only need 7 hours’ notice to play beautifully. 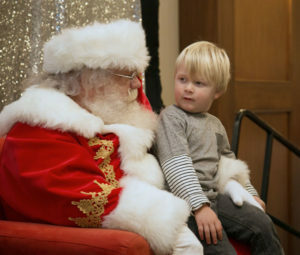 Santa, your merriment charmed the crowd, thank you. Clifford Prang, your ability to rock that elf suit never ceases to amaze me. I am so thankful I can trust you wholeheartedly to run the morning well. Thank you to Jason Janzen for your amazing sound skills, flexibility to roll with the punches and your willingness to serve our community. The event had amazing product sponsorship! 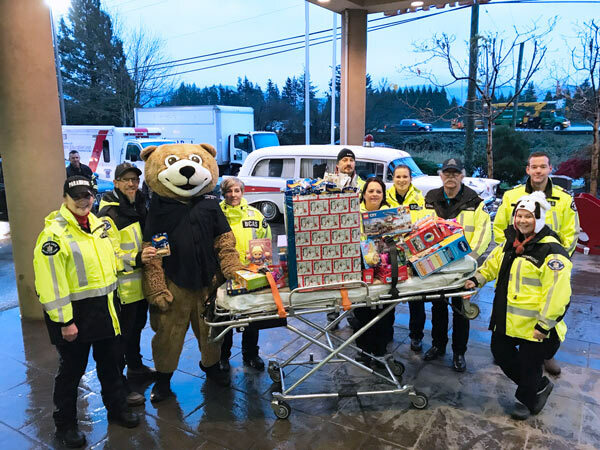 Thank you to Starbucks of Sumas & Delair for sending your coffee and hot chocolate, thank you Tim Hortons for sending your Timbits and together making the drive-thru delicious. 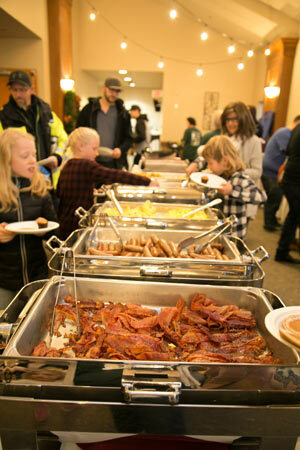 We are so thankful to McDonalds Whatcom who also stepped up to provide coffee for the event! Thank you to Mike and Jocelyn Fornwald for providing your sweet son for the promotional material. Thank you, Castle Fun Park, for providing door prize fun in the form gift cards! 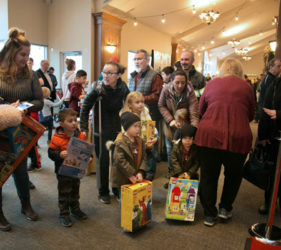 Thank you Winks Home for providing lovely Christmas home décor door prizes. Thank you also to Envision Financial for providing a door prize full of travel goodies. Josie, thank you for sharing Langis Flipbooks & Photobooths. Your generosity towards the event moves our hearts, thank you for being there! The craft corner was a hit, too. Thank you Fraserway RV for providing a fun and organized craft for all to enjoy! Thank you Canadian Linen & Uniform Services, Able Cresting, Global Convention Services Ltd. and First Class Waste for providing the essentials needed to present one good looking and clean event. 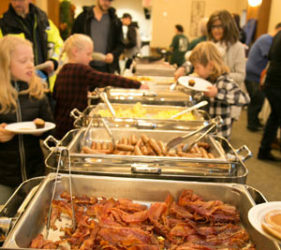 Thank you to Save on Foods, Gordon Food Service, Coca-Cola, Natures Pickins, Neufeld Farms, Taves Family Farm, and Vanderpol’s for donating ingredients for the most delicious buffet breakfast! 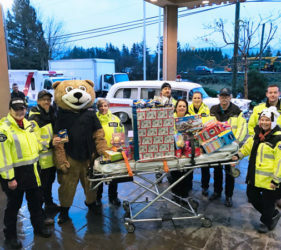 Last but certainly not the least, we were blown away by the support and commitment of the volunteers from Paramedics of BC Emergency Health Services, Firefighters of Local 2864, Envision Financial, Teamwork Property Management, Abbotsford Food Bank, Abbotsford Community Services, Prospera Credit Union and members of the community who pitched in to help! Your ability to greet guests with enthusiasm, direct traffic, run toys, and help with clean-up was so valuable to the success of the event! Candace Stock, your photos are magical, thank you for capturing the morning beautifully. A HUGE thank you to Diane Rauch, you are such an amazing support. I don’t know what I’d do without you! The same could be said for Meghan Franklin and Connie Hackett! Thank you for sharing your amazing social media skills, I couldn’t have done it without you! We are so thankful for all the time and expertise that was shared to make this event a success! Including the team from the Refine Space and Ceramix Tile– thank you for your commitment to beautifying the stage! Once again, our needs were met in ways that were unexpected. 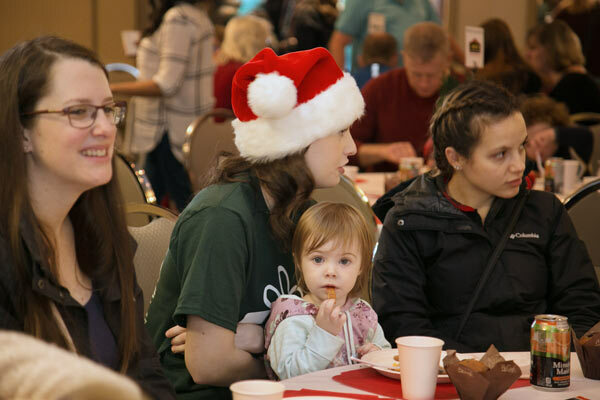 From unexpected sponsor investments to social media posts from supporters at just the right time, it all seemed to be supernaturally orchestrated to benefit those in need in our community. As an event coordinator, this is humbling and heartwarming. When worries are met with unexpected hope, lives change. 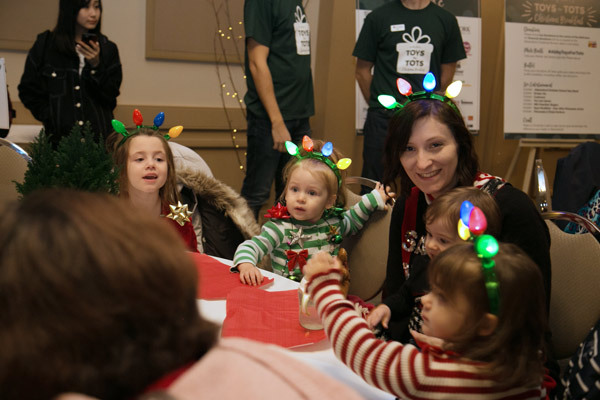 When families are given the opportunity to celebrate a Christmas through the love and support of our community, hope comes shining through. 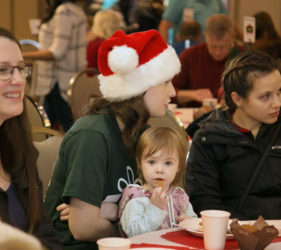 Christmas becomes so much more meaningful when shared with others. 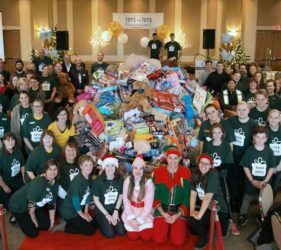 From all of us at the Abbotsford Food Bank and Christmas Bureau, thank you for coming together to bring hope and share the joy with children in our community. What do you want to find under the tree this year? 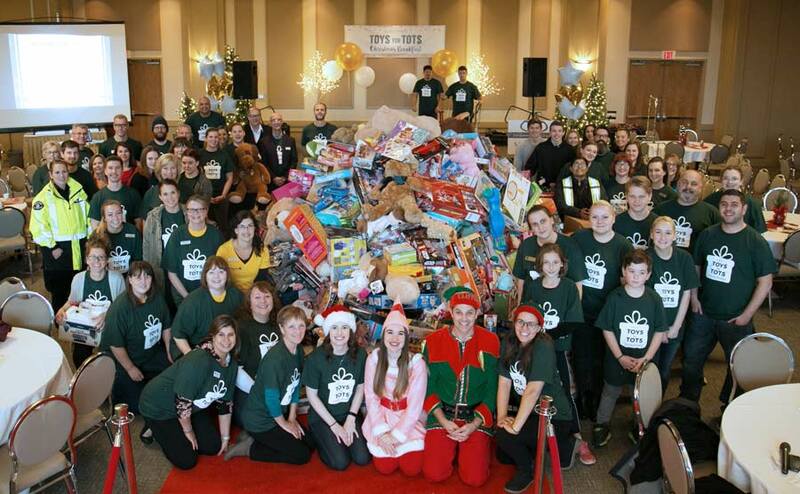 The paramedics worked hard to gather toys to bring! 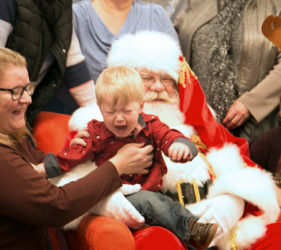 Who was more excited to talk to Santa? Chris or Jess? There is always a few that are just not quite sure. A big hit with the little ones! 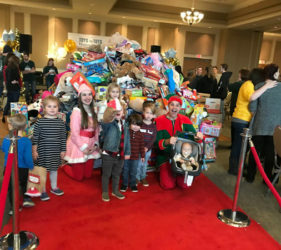 The biggest toy mountain yet!